Today was graduation day for a batch of six-week-old chicks. 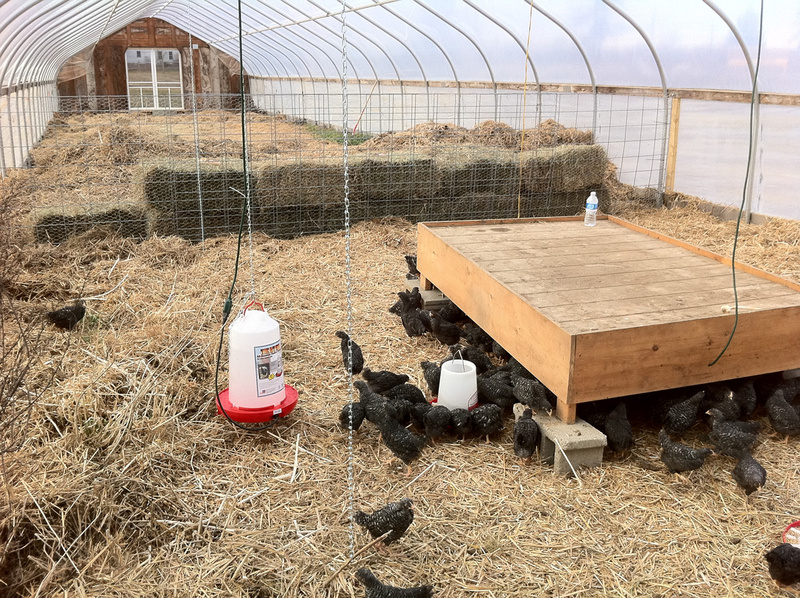 We moved them out of the brooding house and into the long greenhouse where they will spend the rest of the winter. They have plenty of straw and hay for bedding, plus some heat lamps for warmth. In the spring, they should start laying just as the weather gets warm enough to bring them out to the pasture.